Nissan has released its first preview image of the new Nissan Juke, set to be revealed at the Geneva Motor Show next week. The new model is said to look even more striking than before, as well as offering greater efficiency and better refinement than the current model. 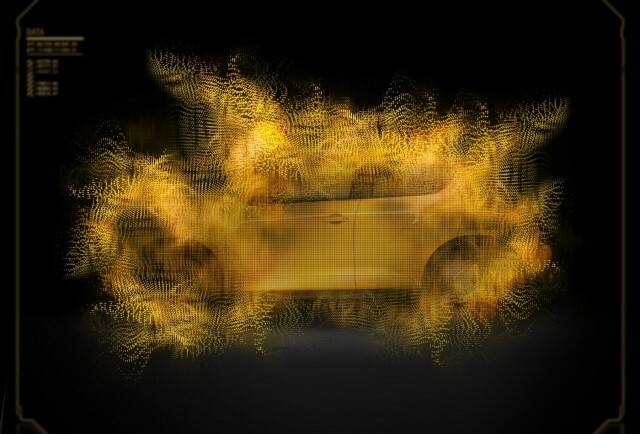 The Juke was originally introduced in 2010, so the new car is likely to be a revised version of the existing model rather than an all-new model. Nissan's cryptic, obscured teaser image reveals as much, suggesting a profile very similar to that of the current car. As is popular these days, the Japanese automaker will use social media to reveal further details of the car and uncover its new look. By interacting with the firm over social media, fans will be able to slowly reveal the car--the obscured teaser image will gradually fade to reveal the new Juke's revised styling. Those wishing to find out more can visit Nissan Europe's Twitter, Instagram and Facebook feeds--the more the image is liked and shared, the more Nissan will reveal. Further details of the car's revised drivetrains and refinement improvements should appear in the days leading up to the Geneva show. The 2014 Geneva Motor Show opens March 4 to press and March 6 to the public. For more information and new launches from Geneva, head over to our dedicated Geneva Motor Show page. We'll also have a full preview of the Geneva show soon, so stay tuned for more.